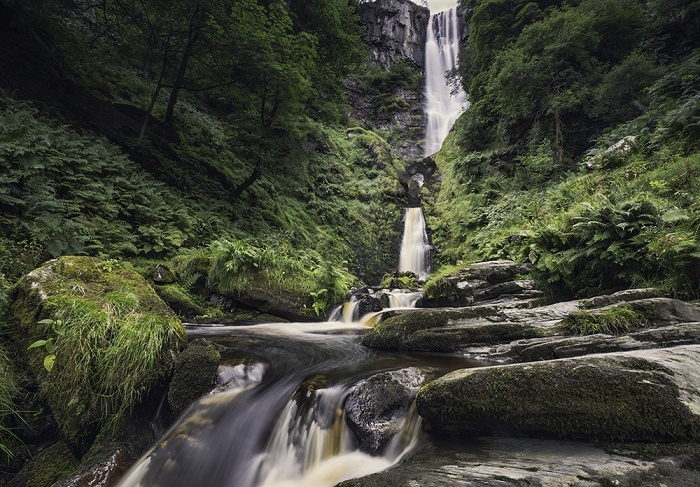 Pistyll Rhaeadr is an enchanting and stupendous waterfall which is located in the vicinity of Llanrhaeadr-ym-Mochnant village in the northeastern part of Wales, within the United Kingdom of Great Britain and Northern Ireland. 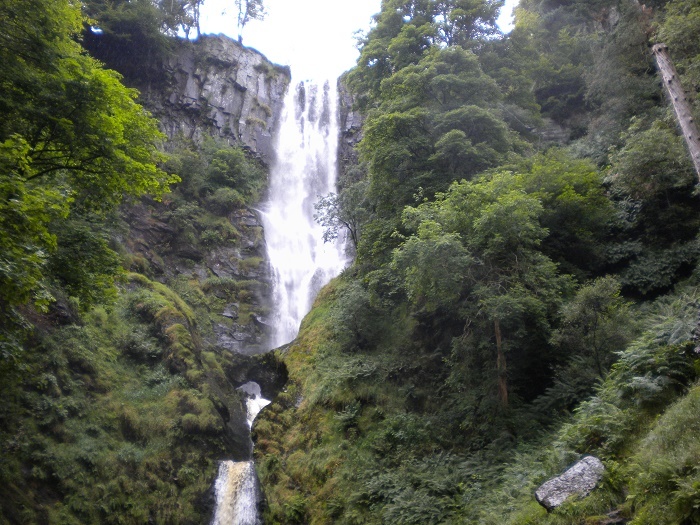 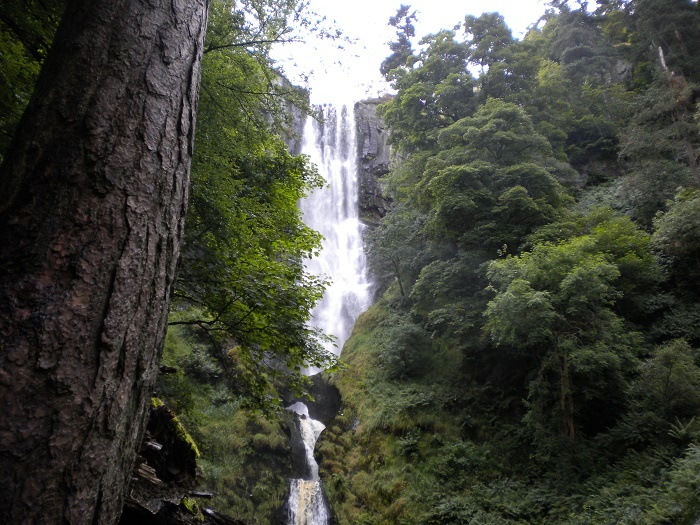 With a height of approximately 73 meters (240 feet) it is considered to be the tallest waterfall in Wales, offering peace and tranquility to all those who are inspired enough to visit the waterfalls in person. 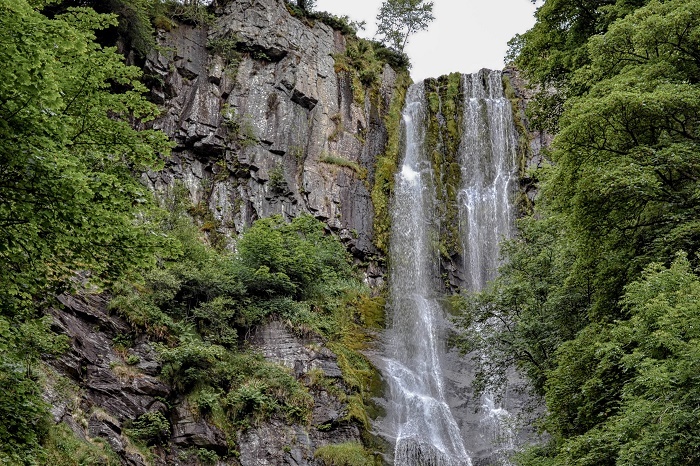 Often referred to as one of the Seven Wonders of Wales, it is formed by the Afon Disgynfa River, and as it falls into three stages over Silurian period cliff, below which the river is known as the Afon Rhaeadr. 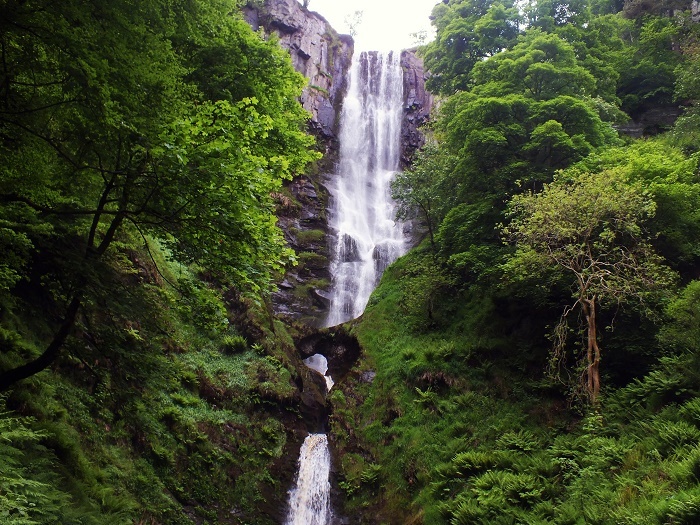 The tallest stage is the first one, which is some 40 meters (131 feet) high, however, the most impressive feature is considered to be the natural arch which can be found right at the middle of the waterfall. 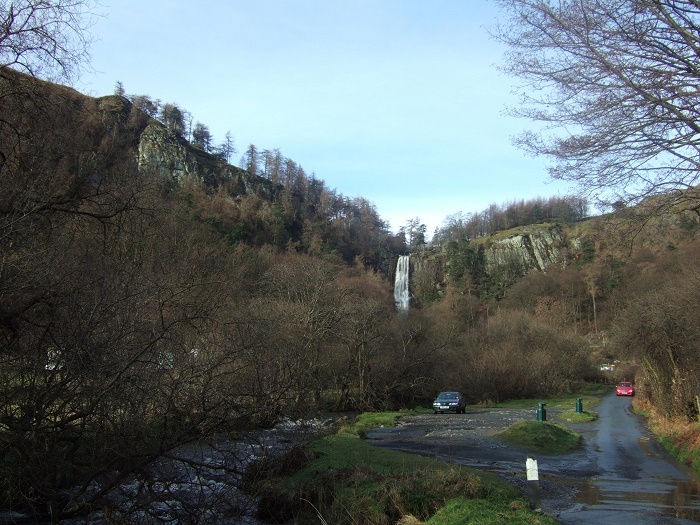 Being a perfect place from where visitors can explore the Berwyn Mountains with the surrounding hills, there is a small car park together with a coffee house and small inn alongside where the visitors can have a small break after the extensive exploration of the amazing nature that surrounds Pistyll Rhaeadr. 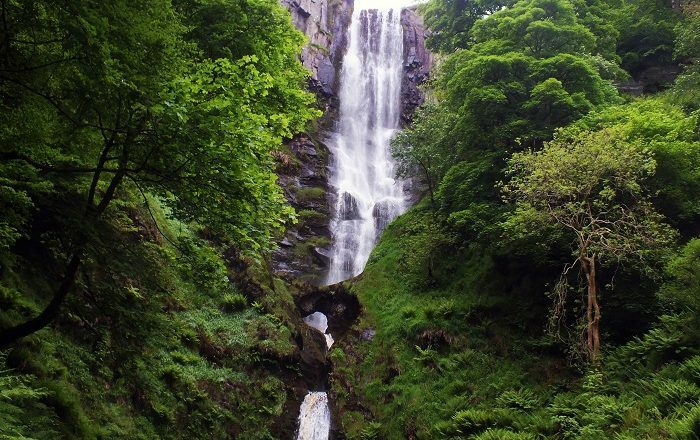 A true gorgeous Welsh experience of the nature for every visitor who would like to get a small glimpse of the Welsh nature.